The major league regular season is finally here! With the end of spring training, all 30 teams finalized active rosters, including a surprising number of prospects breaking camp. This article will briefly touch upon each notable prospect breaking camp and their anticipated role. 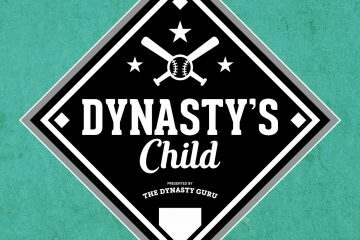 Before delving into the prospects, we must briefly discuss service time to understand why many perceive the promotion of Fernando Tatis Jr., who has not played a game above Double-A, as cavalier. Beginning last year, the MLB season includes 187 service days (previously, 183 service days). A full service year, however, is only 172 service days. As such, teams likely will wait over 15 days (187 minus 172) to call-up an elite prospect to ensure an additional year of team control. Further, teams likely will wait over 65 days (187 minus 122) to call up a top prospect to avoid triggering Super Two status. This means some top prospects likely will not debut until April 13, 2019 (after 16 service days) and others likely will not debut until June at the earliest. The promotion of Tatis Jr., however, does not automatically forfeit an extra year of control. The common misconception behind his promotion is Andy Green, the Padres Manager, and A.J. Preller, the Padres General Manager, sacrificed an extra year of control. This is not yet true. In fact, the promotion likely is a win-win scenario for the Padres. 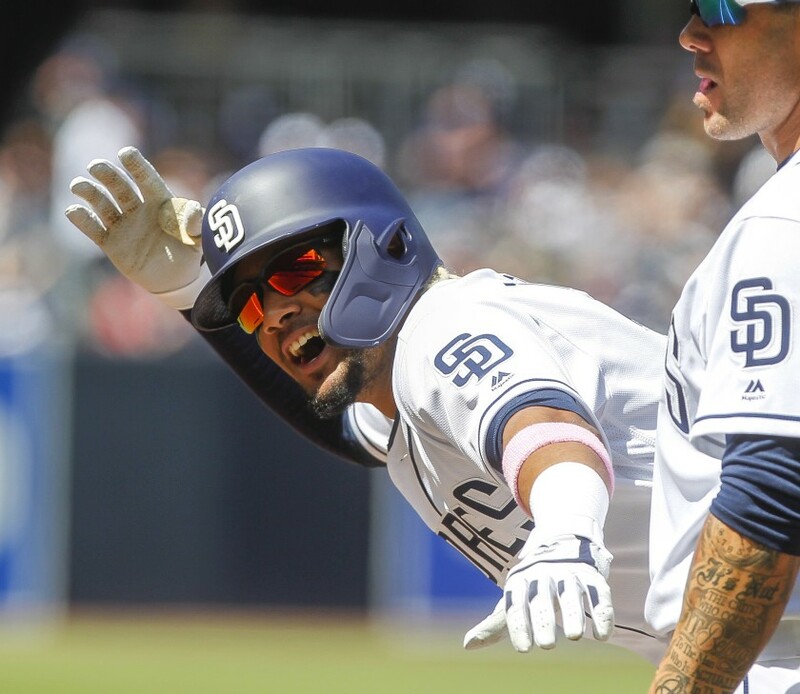 If Tatis Jr. performs well with sustained health, he helps the team win now, and likely remains with the club all year. If Tatis Jr. struggles or suffers an injury, he likely receives a demotion to Triple-A, where the Padres can artfully manipulate his service time. Further, even if Tatis Jr. plays 162 games this year, the Padres can still manage his service time in future seasons. For example, the Mariners are currently manipulating the service time of J.P. Crawford, who has 1.02 years of service time and likely will languish in Triple-A until late April to preserve an additional year of control. With that said, it is still exciting to see prospects like Tatis Jr. and Pete Alonso break camp without obvious manipulation of service time. Now, we examine prospects breaking camp! 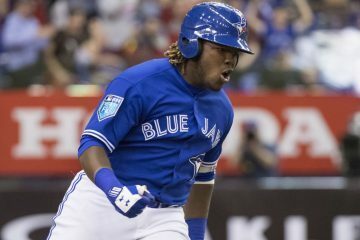 The following Top 500 Fantasy Prospects (rank in parentheses) will open the 2019 MLB season in the major leagues! These prospects should be owned in all fantasy formats. Last summer, the White Sox refused to call-up Jimenez due to blatant service time manipulation. Instead of butting heads with Jimenez yet again this spring, the White Sox signed him to a six-year, $43 million contract extension. Thus far, he has batted fifth, and he should be a prime candidate for AL ROY honors. A severe arm injury sidelined Robles for much of the 2018 season. Now, the departure of Bryce Harper opens the door for regular playing time. During spring training, he cemented his place in the starting lineup, hitting .321/.431/.509 with 7 stolen bases. With Adam Eaton and Trea Turner currently hitting atop the lineup, Robles has hit ninth, limiting RBI opportunities. However, he should provide both power and speed, and potentially develop into a middle-of-the-order bat. As stated above, Tatis Jr. was a surprise addition to the active roster. Prior to suffering a fractured left thumb in mid-July last year, he was on a tear in Double-A (.327/.400/.556). Tatis Jr. possesses a rare blend of plus power and speed, and he could produce a 20/20 season as soon as this year. However, he can struggle with contact (27.7% strikeouts and 16.5% swinging strikes), and he often expands the strike zone, especially on off-speed pitches. When he makes contact, however, it is often hard, which should help mitigate swing-and-miss issues. Of course, the risk is he may require a similar adjustment period as Javier Baez, who hit just .169/.227/.324 in his debut. So far, so good, though, as Tatis Jr. has hit sixth and already found some success at the plate. This spring, Alonso was a world-beater, hitting .352/.387/.620, and beating out a similarly hot Dominic Smith for the starting first base job. Like the Padres, the Mets disregarded service time concerns and promoted Alonso. Do not be surprised if he has a similarly explosive debut as recent slugging first basemen, Rhys Hoskins and Matt Olson. Alonso has massive power to all fields, generated by his considerable strength and bat speed. In addition, he manages to make far more contact than most power hitters. Despite his power profile, Alonso has hit second in the early going. Over the last three years, Reyes has endured one setback after another. By all indications, he is fully healthy once more. To manage his innings, he is beginning the season in the bullpen for the Cardinals. In his first outing, he averaged 97.6 mph and flashed his typically solid slider and change-up. It is very possible Reyes eventually either transitions back into the rotation or into the closer role. Mejia was one of the top performers for the Padres this spring (.354/.380/.625). Regardless, Austin Hedges enters the season as the incumbent, starting catcher. In time, the share of catching duties likely will shift to 50/50, and, if Hedges performs in line with his career numbers, Mejia should supplant him as the starting catcher by mid-season. Few catchers have as much offensive upside as Mejia. Verdugo enters the season as the fourth outfielder for the Dodgers. Although he is left-handed, he likely will draw starts over Joc Pederson against left-handed pitching. It likely will take an injury for Verdugo to receive regular playing time this year. Although Hampson enjoyed a strong spring (.279/.340/.628 with 4 home runs and 7 stolen bases), Ryan McMahon outperformed him and earned the starting second base job. Following the injury to Daniel Murphy, more playing time may open up for Hampson; however, Mark Reynolds received the first start. So far, he is receiving the typical Rockies rookie treatment. Once he elevates into a starting role, Hampson should provide an excellent source of speed with some power. Like his teammate Tatis Jr., Paddack received a promotion to the majors without playing a single game in Triple-A. This spring, he was simply incredible, with a 24-to-3 strikeout-to-walk ratio in 15 1/3 innings (1.76/1.11 ERA/WHIP). Paddack is a command and control artist with an elite, double-plus change-up and enough velocity (mid-90s fastball, averaged 94.8 mph in debut) to keep hitters honest. In his debut, he elicited 6 swinging strikes on 24 change-ups (25%)! Expect him to perform similar to, if not better than, Shane Bieber this year. Now, we have two regular season starts worth of data on Kikuchi. He has a three-pitch repertoire, including a low-to-mid-90s fastball (averaged 93.1 mph), a mid-80s slider, and a mid-70s curveball. As promised, his slider is devastating, eliciting 31.8% whiffs in his second start. Neither his fastball nor his curveball find nearly as much success and appear to be average offerings. While Kikuchi has only walked one batter, he has thrown just 63.8% strikes. Ultimately, his average command and control should generate far more walks. Overall, he looks the part of a 4-starter, with potential to flash as a 3-starter when his command is on and either his fastball or curveball are missing bats. Due to a strained right quad, James did not make the starting rotation. Still, he made the active roster as a reliever and picked up where he left off last year, impressing in a two-inning outing. Whether the Astros utilize James similar to Josh Hader or he slides back into the rotation, he should provide solid value in most formats. After injuries to Mike Foltynewicz and Kevin Gausman, and some shaky outings from Touki Toussaint this spring, Wright made the starting rotation. In his season debut, he struggled mightily with control, walking 5 and throwing only 52.9% strikes. Wright possesses excellent upside, with four above-average offerings. Whether he can harness his stuff will determine his immediate success. Following the trade of Russell Martin, Jansen is now the starting catcher for the Blue Jays. He has exceptional plate discipline, solid power, and a mature approach. As soon as this year, he could be a top 5 fantasy catcher. In mid-March, the Rays signed Lowe to a six-year, $24 million contract extension. Even though he is under contract, he is still only receiving part-time playing time for now. Offensively, Lowe stands out for his patient, all-fields approach and above-average raw power. Unfortunately, his defensive shortcomings may limit his short-term opportunities. Along with Wright, Wilson benefited from the slew of injuries to the Braves rotation. Uncharacteristically, he struggled with control in his season debut, walking 4 and throwing just 54.8% strikes. How long he remains in the rotation is uncertain, but he could provide nice value while his run lasts. At his best, Wilson is a well-built and sturdy workhorse starter with mid-rotation upside. Stewart started spring on fire, but struggled over the last couple weeks, leading to a 23-to-2 strikeout-to-walk ratio. Still, the Tigers decided to roll with him in the starting lineup. Stewart is a prototypical, old-school power-hitter with pairs plus (or better) raw power. During spring training, Alcantara displayed his normal control issues (11 walks in 15 1/3 innings). Then, in his season debut, he tossed an absolute gem, issuing 0 walks and throwing 71.7% strikes over 8 scoreless innings. If Alcantara can find consistent command, he is a potential breakout player with his deep, four-pitch repertoire, headlined by an upper-90s fastball (96.5 mph average). An extreme high-contact hitter, Astudillo had a 0-to-1 strikeout-to-walk ratio in 52 spring training plate appearances (.314/.333/.471), winning a spot as a third-string catcher on the Twins roster. Unfortunately, this limited role appears to be all the playing time he will receive. Hopefully, he can hit his way into more regular playing time. While Hudson found success in the bullpen last year, his future is in the rotation, beginning this year. With a sturdy 6’5″ frame, he is a potential workhorse, ground ball (58.2%) pitcher. Hudson relies on basically two pitches, a mid-90s fastball and an upper-80s cutter, which he can manipulate to play as a low-80s slider.